Spring is in the air, and so is talk of spring cleaning our homes. But your efforts to clean up and streamline your life shouldn’t stop with your car. If you are like many other Americans, you probably spend a lot of time in your car. You’re more likely to enjoy your driving experience if your car is well-organized, clean, and fresh smelling. And with the weather growing more temperate, you can actually clean your car without freezing. Main console – Wipe down the console with a damp rag. Make sure to get the cup holders, but steer clear of any electrical connections on the console that won’t respond well to moisture. Windows and mirrors – Have your windows accumulated dirt and debris over the winter? Or been smeared by kids’ fingers and hands? Clean the windows inside and out—and don’t forget the mirrors, too. Windshield wipers – Spring can deliver impressive rains, so make sure that you are prepared with good wipers. Wipers should be changed out every six months. Carpeting and upholstery – Passengers can track mud and salt into your car in winter. Vacuum the carpet and use a carpet cleaning solution to remove any stubborn stains. Use a damp towel to wash the seats of your car. The trunk – We tend to forget about the trunk because it’s out of sight when we are driving, but it can get dirty, too. Remove any unnecessary items that may have piled up there during the winter. Vacuum the trunk, tending to the cracks and crevices. Then check the spare tire to make sure that it is properly inflated. The exterior – Splurge on a full-service cleaning to remove winter’s dirt and grime. If you want to wash the car yourself, use a soft sponge and a mild detergent designed especially for cars. 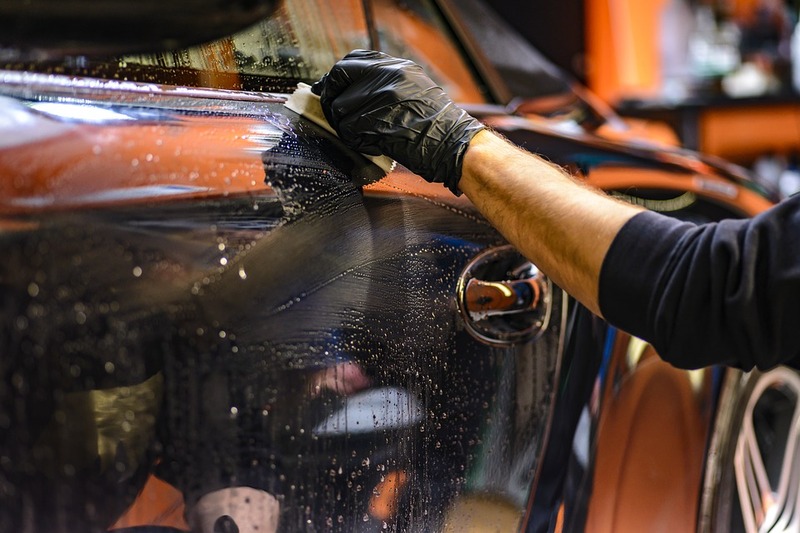 Rinse and wipe the vehicle down with a gentle towel. Follow up with a wax treatment for your car. Engine – The engine is a car’s most critical component, yet it’s easy to neglect. Look under the hood and remove excessive grime. If the engine looks significantly dirty, have it professionally cleaned. A car is a hefty investment. Keeping it in top condition will pay off in improving your driving experience and extending your car’s life expectancy. As a car owner, you need to understand that making adjustments to your car engine is essential to secure that it has the capability to serve you especially when you are taking your friends, families and loved ones out of town. Check this infographic that provides steps how to execute spring car cleaning.